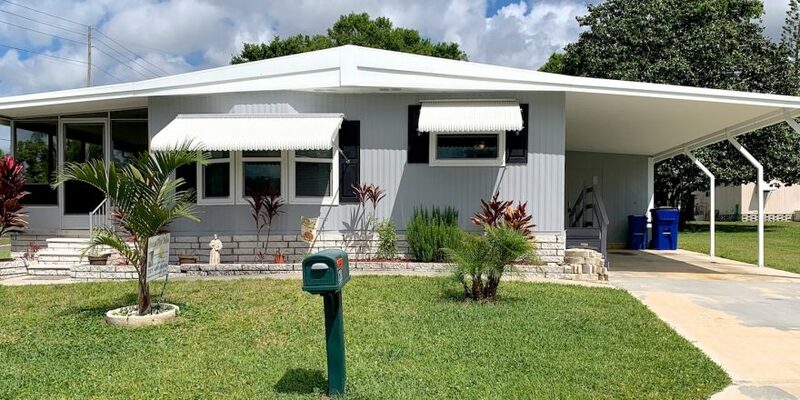 This Beautiful and Spacious 2 Bedroom, 2 Bath Home is on a Large Corner Lot in Lone Pine Mobile Home Park in Delightful Dunedin, FL. It has All New Flooring Throughout with ¾” Plywood Underneath, All New Thermo-Pane Windows in 2018, New Doors Throughout, Updated Bathrooms, New Kitchen Sink, and New Faucet. The home has been Freshly Painted inside and out, the Beautiful New Back Deck made with Pressure Treated Wood is Less than a year old, and it has a Membrane Roof-Over that was Sealed less than 4 years ago. The Large Florida Room is an Attractive Entrance for the home. You can Open the Windows and Enjoy Florida’s Wonderful Weather. This home has a Spacious Living Room with Beautiful Wood Laminate Flooring, and a Lovely Bay Window that filters in Lots of Natural Light. The Dining Area has a Stylish Built-in for display and enough space for a Large Dining Table. The Kitchen has Plenty of Cabinets and Counter space for all of your cooking gadgets. The Spacious Master Bedroom has Beautiful Soft Light, a Large Walk-in Closet, and a Door Leading to the Back Deck. The Attached Master Bathroom has a New Vanity, New Toilet, Tons of Storage, and a Walk-in Shower. The Guest Bedroom will be a welcoming space for visitors, and has a Walk-in Closet for Additional Storage. The Guest Bathroom has a New Vanity, New Toilet, and Walk-in Shower. There is an Extra-Large Shed at the end of the Carport where the Washer and Dryer is located. The shed has Plenty of Space for a Workshop/Hobby Area or it could be used for Outdoor Storage. Sit Back and Relax in the Florida Room or enjoy the Sunshine on the Fabulous Back Deck. Either way this home has it all! Lone Pine Mobile Home Park is a beautiful, centrally located, neighborly park. This is a 55-Plus Park. Pet Friendly, 1 pet under 20 lbs. The park is close to everything fun including the beaches, Countryside Mall, golf courses, restaurants and Delightful Downtown Dunedin. LOW LOT RENT of $470 includes trash and the Clubhouse. 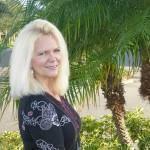 To schedule an appointment – CONTACT – MICHELLE at 727-490-8696.